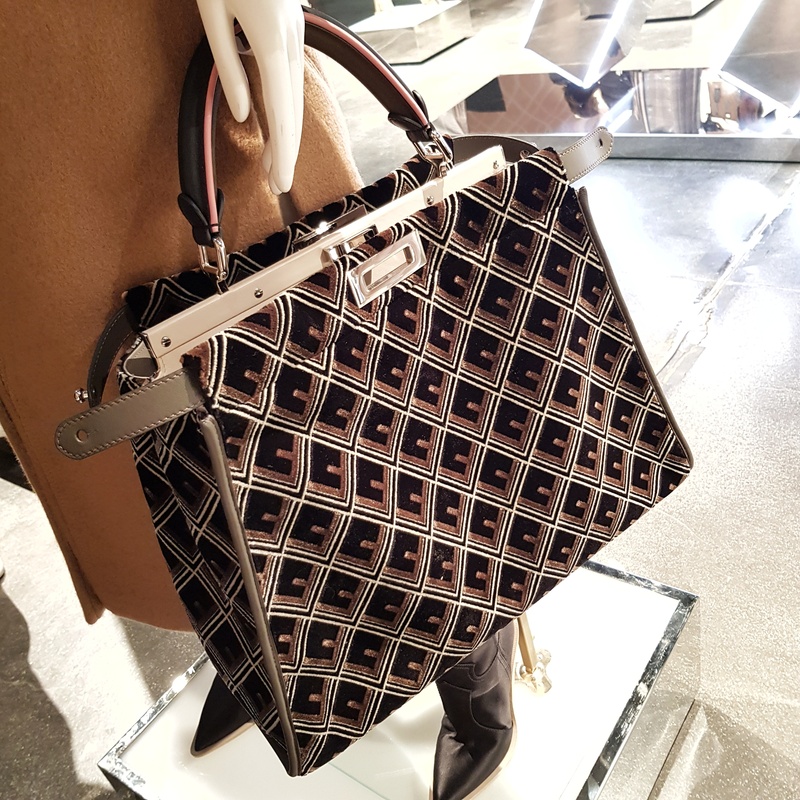 So excited to share that Fendi has some new bags for Fall Winter 2018 (landing in store shelves around September 2018 onwards). 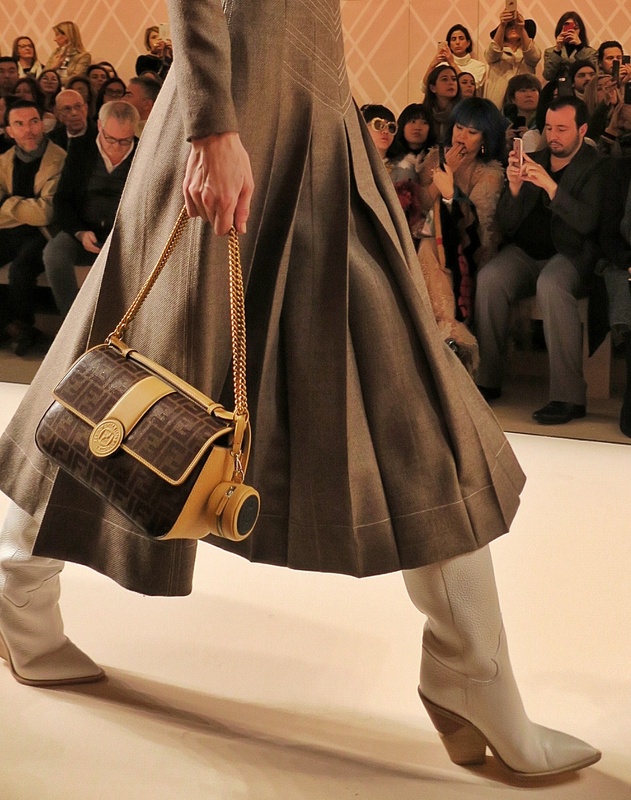 There’s the Fendi Double F bag, which is essentially a larger, more functional version of the (mini- sized) Double Baguette. You see that little circular charm attached to the Double F bag above? 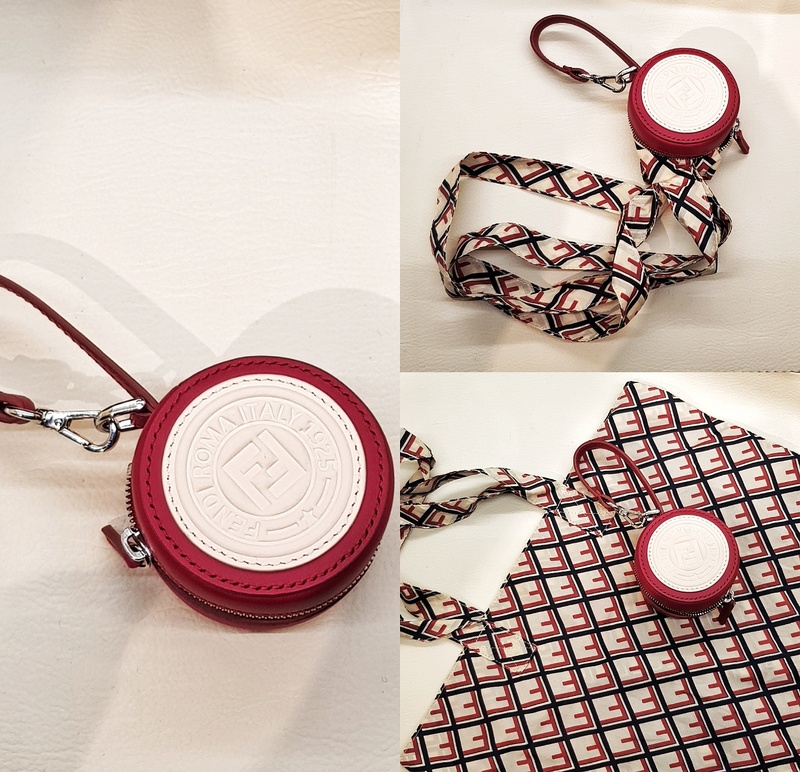 It isn’t just a bag charm, it’s actually a cute case for a foldable reusable shopper tote!! 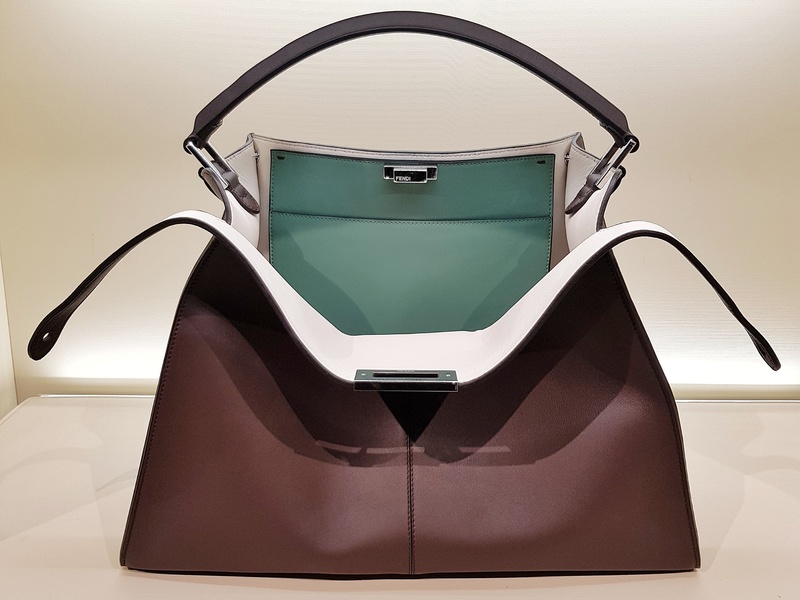 I am also so pleased to mentiom that the Fendi Peekaboo bag has evolved to become so incredibly light! 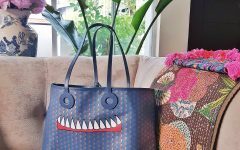 I have held back on buying a Peekaboo for the longest time in the past because of its weight. But the new Peekaboo X Lite retains the original shape and look, but the middle frame was removed, making it the perfect bag! 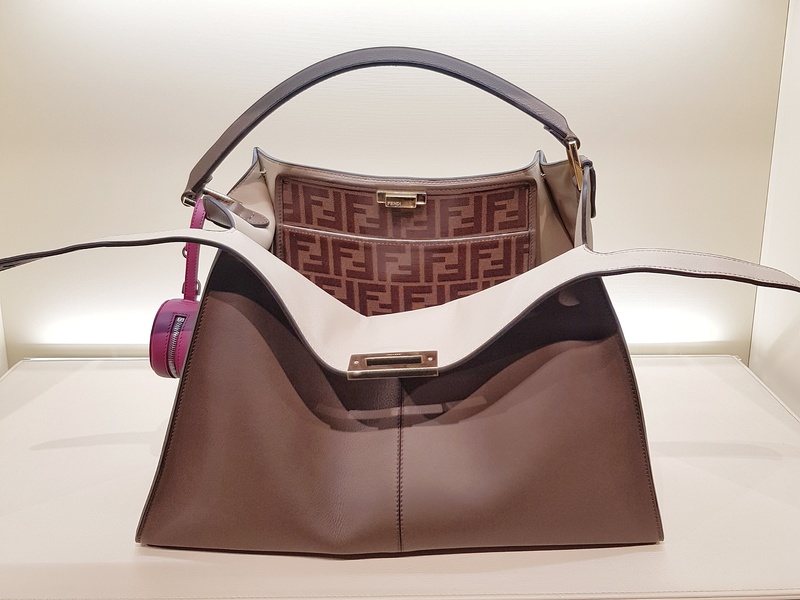 There are also the classic Fendi peekaboos that have a white coated canvas cover which you can easily detach with the central twistlock. This double F logo-a-gogo classic Peekaboo is also striking up close! 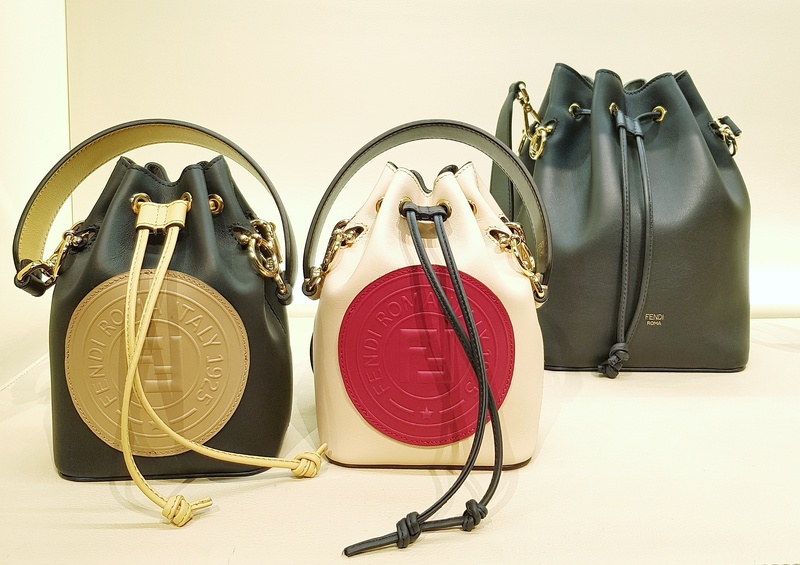 There’s also the continuation of the Mon Tresor bucket bags which now come in a bigger size as well, apart from the cute double F circular ring patch. 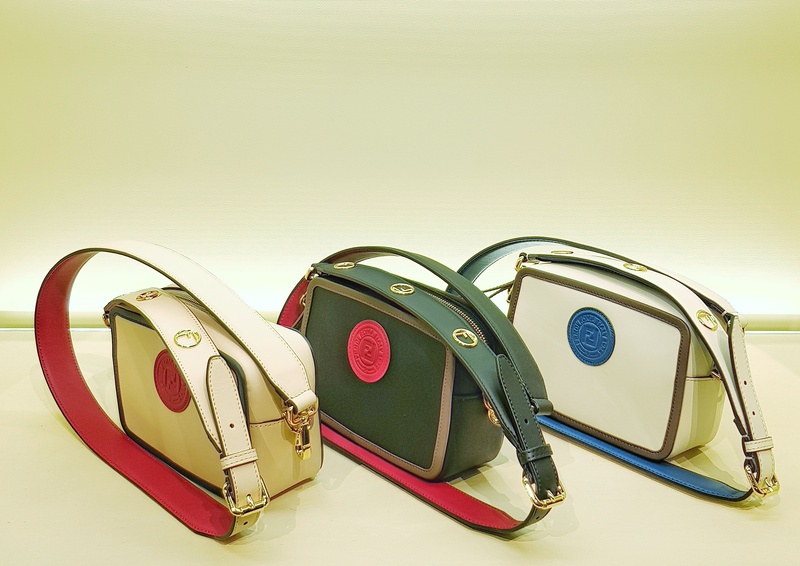 The camera bags also with the double F patch are versatile and perfect for that quick gallivant to the mall. And this Zucca shopper tote in glazed canvas (waterproof!!) is super cool. It has that retro vintage vibe with the brand name spelled out that way, a collaboration with an artist. I thought there was a collaboration between Fendi and Fila LOL. 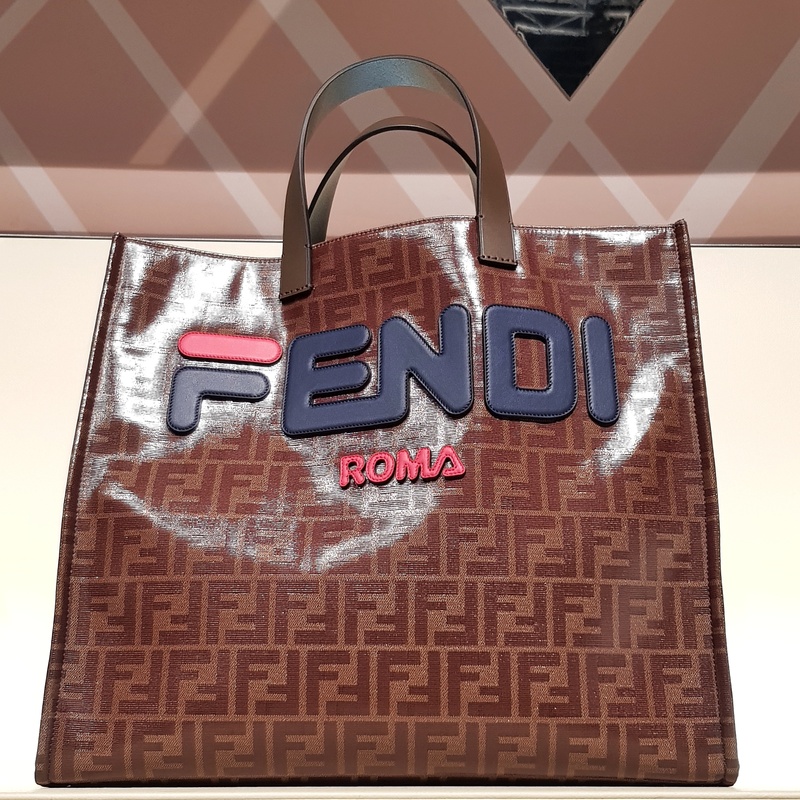 The tote’s Fendi logo reminded me of Fila’s logo! 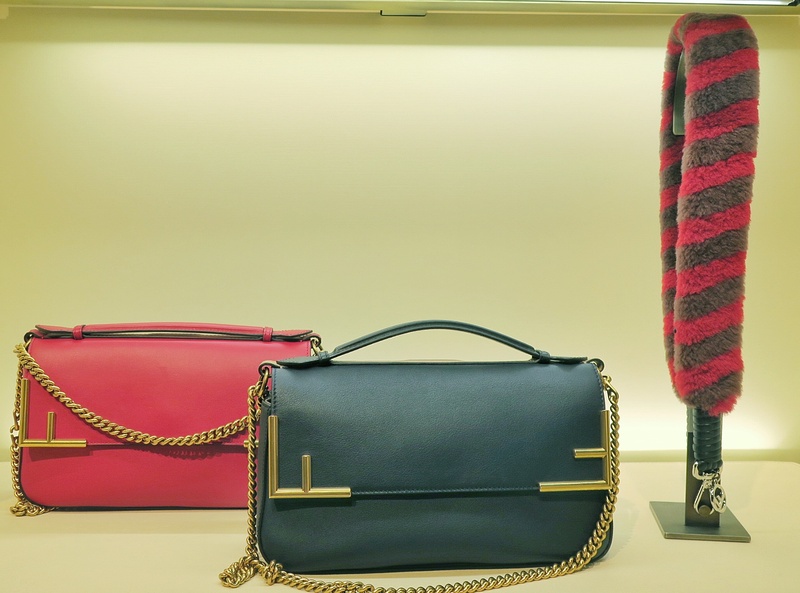 The Fendi bag collection is strong this coming season. 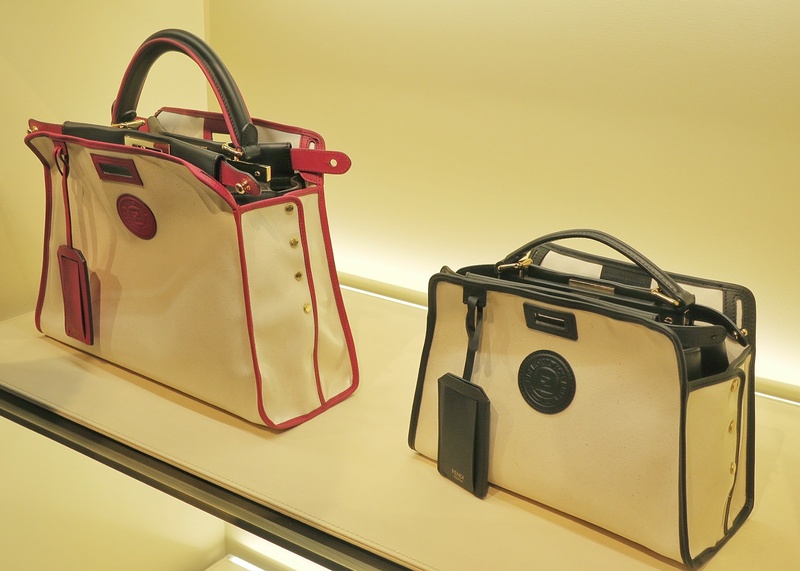 And really like that Fendi has reintegrated the Zucca monogram into the bags. 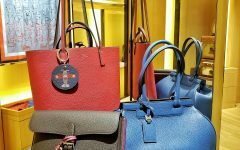 So on the bag list this coming September: that Fendi Zucca shopper tote in glazed canvas, and the Peekaboo X Lite!